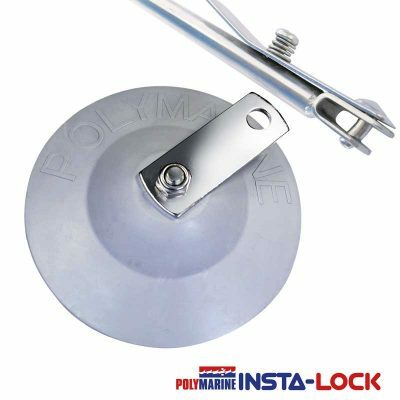 Can be used on hard shell and inflatable dinghies. Imagine how hassle free it would be to leave your outboard motor on your dinghy at all times. Instead of taking the motor off and on every time you use it. 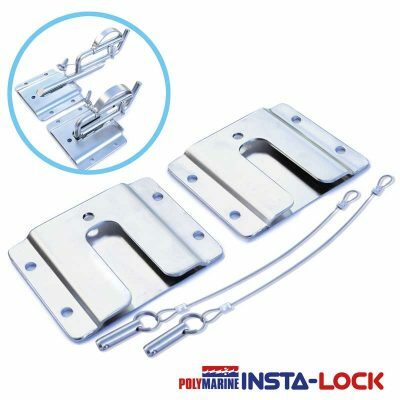 The “swivel” bracket allows the boater to leave the outboard motor on the dinghy when raising the dinghy to a vertical position onto the swim step. 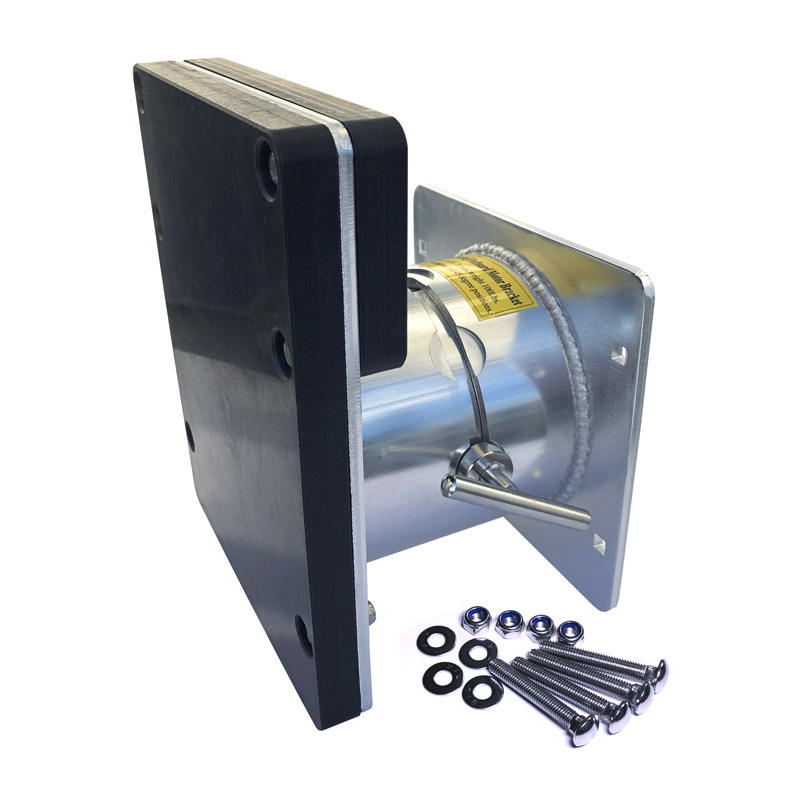 Eliminates the need for storage of the motor elsewhere on your boat. No spilling of fuel or oil. No need risk a mishap in rough water by lifting off the outboard. 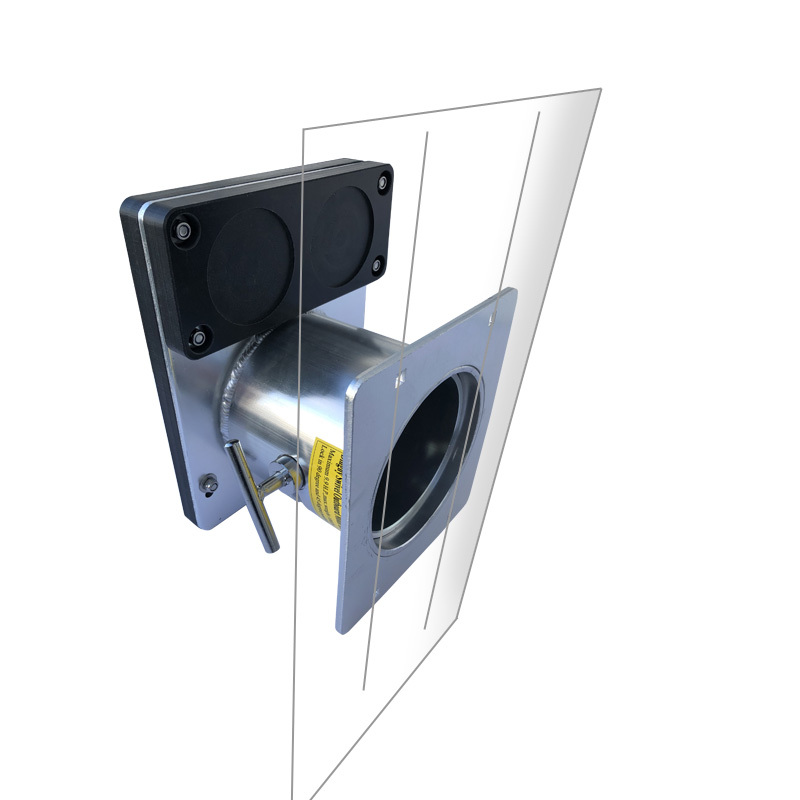 Rotatable to 90 degree and 45 degree positions (two locking positions). 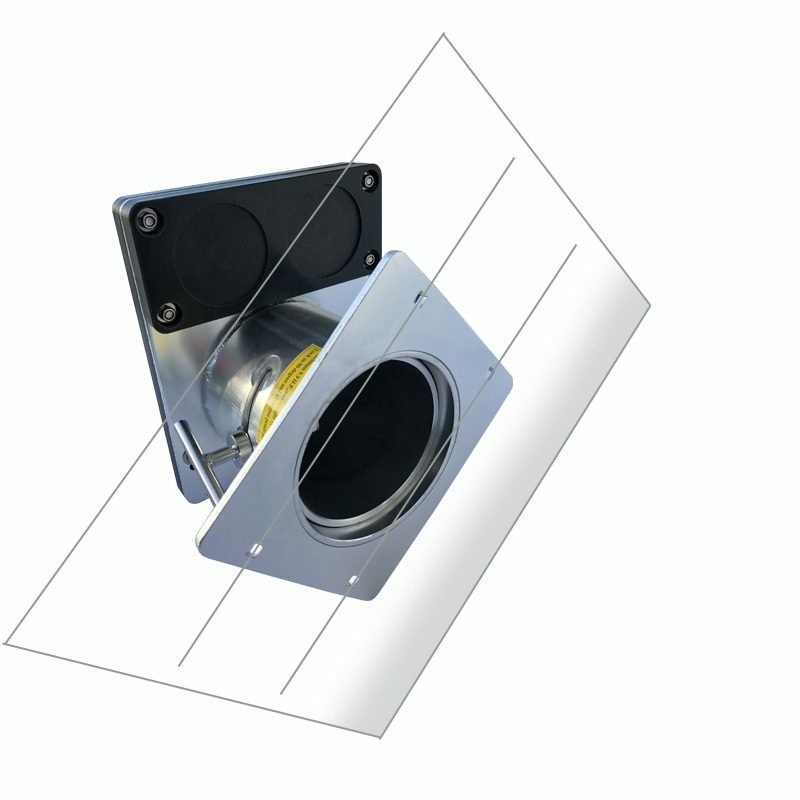 Constructed of marine grade aluminum which is anodized to ensure durability. 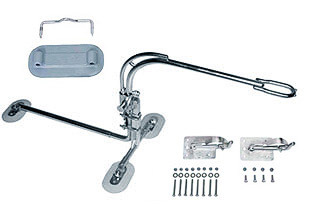 All fasteners are stainless steel along with a polypropylene motor mount. 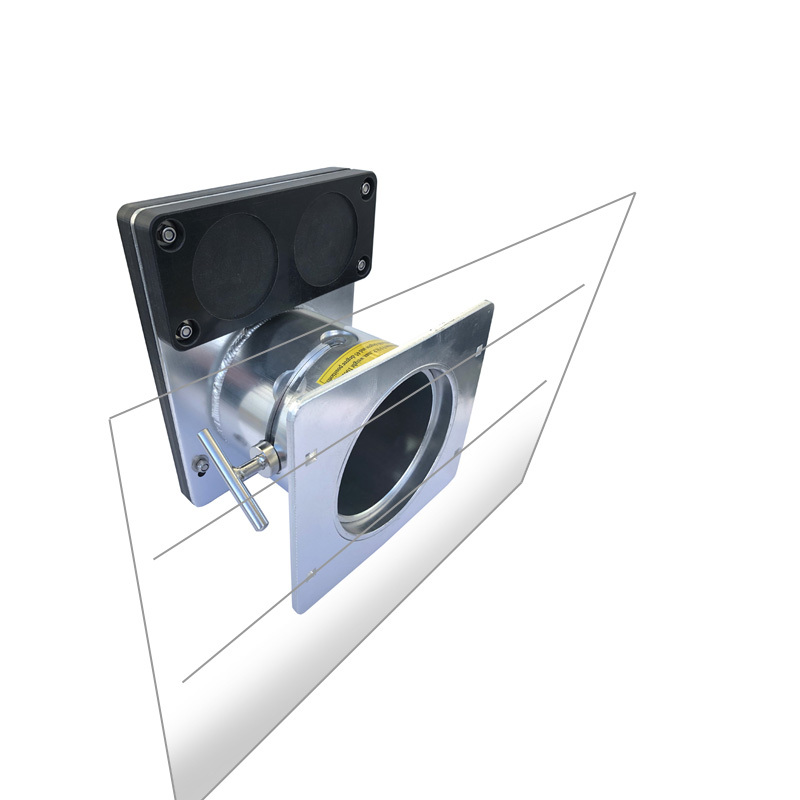 Mounting flange 7″ high by 8′ wide. 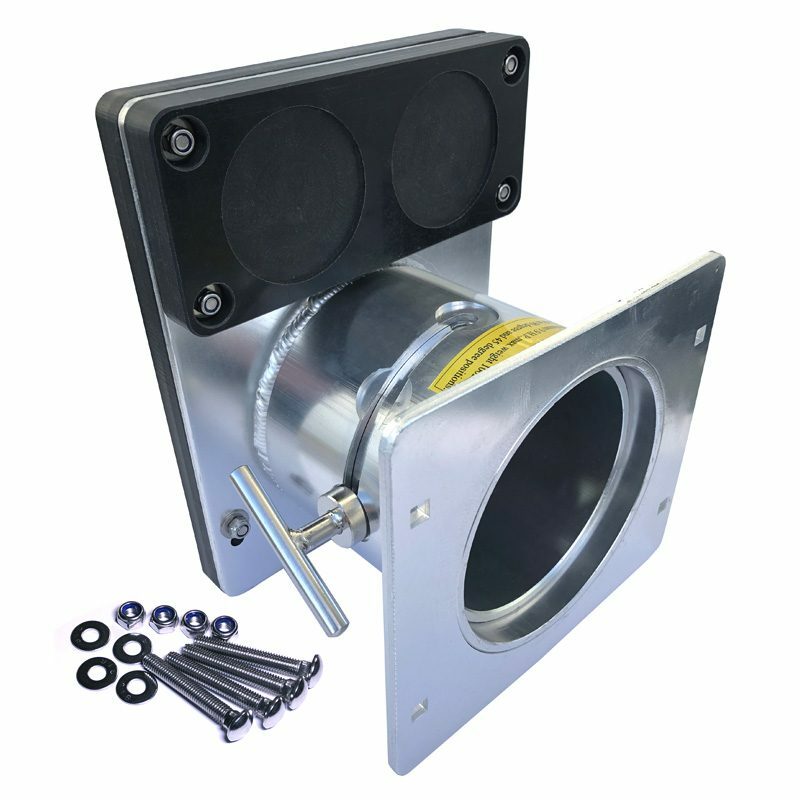 Depth 7″ from mounting flange to end of motor mounting board. Max. 9.9 HP, 2 cycle or 9.9-4 stroke.